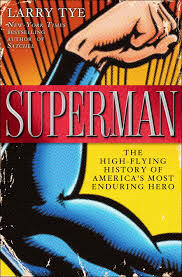 There is no shortage of excellent books on the history and cultural impact of comic books. Comic Book Nation by Bradford W. Wright and Men of Tomorrow by Gerard Jones come immediately to mind). However, Larry Tye's recent offering Superman: The High-Flying History of America's Most Enduring Hero has taken a spot among the very top. By looking at the quintessential hero and tracing his history from preconception to near future, he not only manages to explore what makes the character so much a part of our cultural psyche, but also uses the enduring hero as a lense through which to examine the history of the comic book form and even the last eighty years of culture itself. Perhaps most importantly, he tells the story of Jerry Siegel and Joe Shuster, the two Cleveland just-barely-grow-ups that created the Man of Steel, in a more balanced, intimate and complete narrative then anyone has ever managed. Mr. Tye's research is unrivaled. His endnotes alone are thirty-five pages long and make for as fascinating a read as the rest of the book. 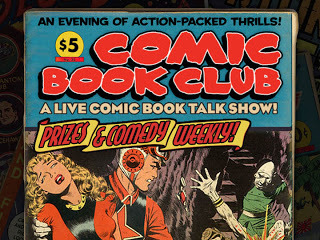 The podcast of my recent appearance on the web talk show Comic Book Club Live is now available here. 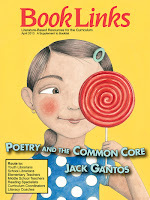 Books of Wonder, located at 18 West 18th Street in New York City, will be hosting "Fantastic Teen Reads for Spring" on Sunday, April 14th from 1 PM to 3 PM. I will be appearing there to talk about What We Become, alongside a panel of other YA authors, presenting their own efforts. If you happen to be in the area, please stop by. FANTASTIC TEEN READS FOR SPRING!